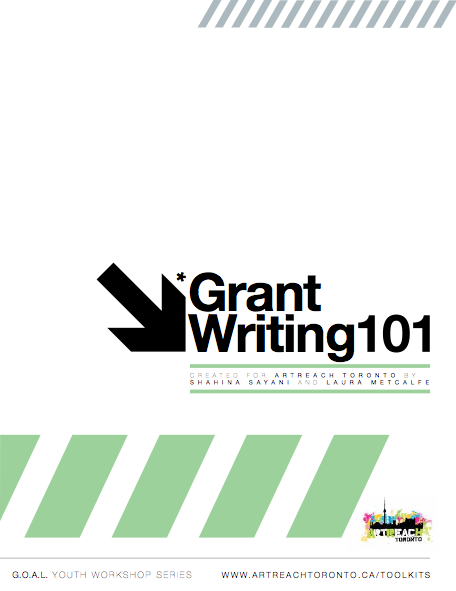 An introductory toolkit on writing and applying for grants. Contains sections on researching opportunities, elements of a funding application package, preparing to apply, writing a proposal, and next steps. Also includes sources of helpful Toronto- and Canada-based research and statistics related to youth, communities, and the arts. Part of the Grassroots Organizing and Leadership toolkit series for youth.